Comments on: "Julie Walters Quotes: I didn't come into the business to get awards or titles." Along the way I have been able to choose some themes which ask questions – not necessarily force a message on anyone, but at least invite the audience to question things: jury service, dignity in dying, Ireland – and not least because they force me to ask myself questions. Where do I stand? I always loved my mother, felt loved, but she was judgmental. Her father in Ireland didn’t approve of women generally, and she took on his values. She believed her own mother was foolish. 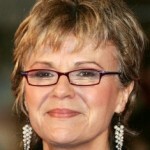 Julie Walters is an English actress and novelist. She came to international prominence for playing the title role in Educating Rita. It was a role she had created on the West End stage, and it won her BAFTA and Golden Globe awards for Best Actress she also won an Olivier Award for Best Actress in 2001 for her performance.